Do you want to maintain a hands-on approach to your child’s education? Then the Parent Center has all of the tools you need to ensure that they succeed! Here, you’ll find an abundance of resources at your fingertips that will give you invaluable insight into your kid’s education! Keep your child ahead of the game by monitoring what they are learning over at the Parent Center. 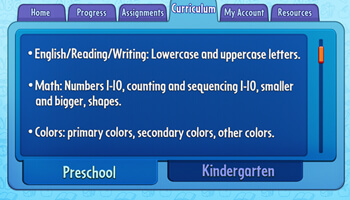 Under the “Curriculum” tab, you can find information on the academic standards and concepts that your young scholar is studying. This will allow you to gain a deeper insight into your kid’s education. 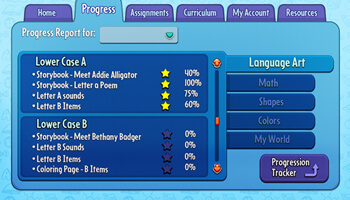 You can access personalized progress reports that outline your little learner’s growth throughout the game. Here, you can track your kid’s development as they play. JumpStart Academy Preschool gives you the tools that all you to assess which concepts you kid is grasping, and which ones need more work. 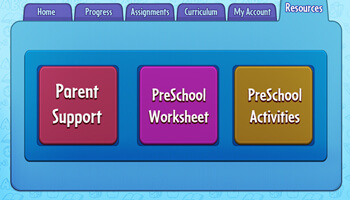 You can access additional educational materials to ensure that your kid doesn’t have to stop learning once they log off! 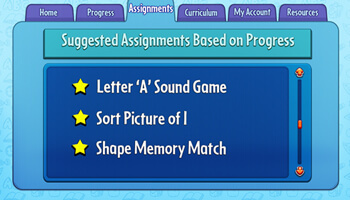 These assignments utilize Common Core curriculum standards to make sure that your young scholar is ready for any challenge that may come their way. If you’re ready to take learning outside of the classroom, then check out the “Resources” tab. Here, you can find intellectually stimulating worksheets that encourage an interest in STEM, reading, writing, history, and the arts. These will help your preschooler build their critical thinking skills and help them get ahead of their classmates.